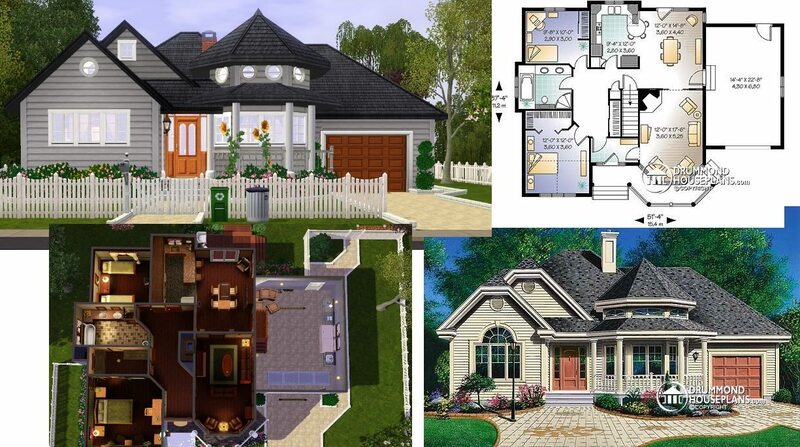 This charming home initially started as a side project for my favorite Sim, foolishly laden with TSR content, turning it into a thing of evil. Thanks to Lisen801's windows, however, I exorcised all TSR content and replaced it with free stuff! Yay! 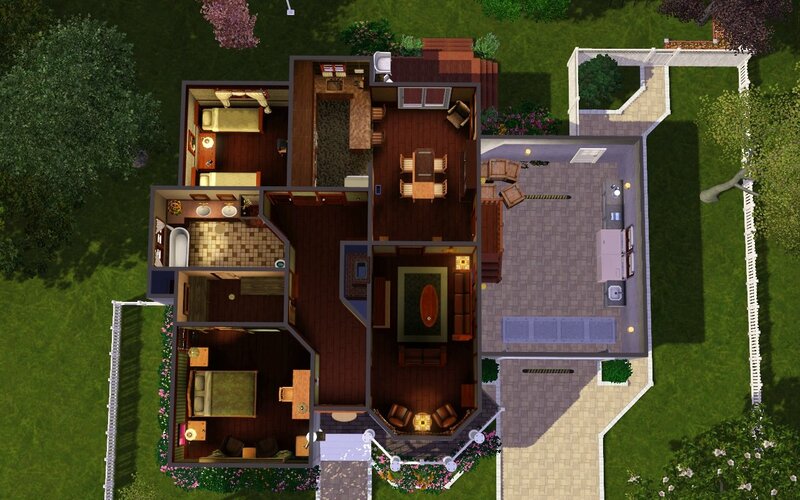 Keeping my general theme of homes with turrets, Suburban Whitewash takes Mint Farmhouse and shrinks it down, while keeping all the character, but adding a lot of classical interior design. It's Mission all over inside, with a few hints of our modern times. 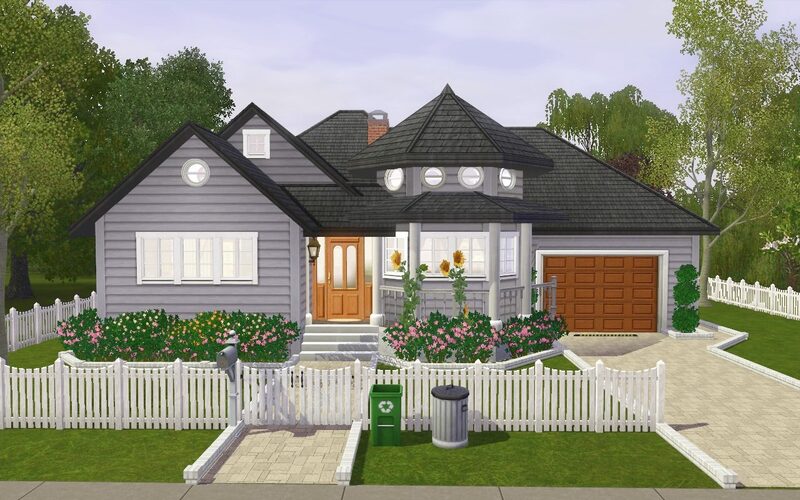 It boasts a walk-in closet, garage, large kitchen, dining room, living room with reading nook, hall, porch, deck, spacious bathroom, chic master bedroom and cosy guest bedroom, with two beds. 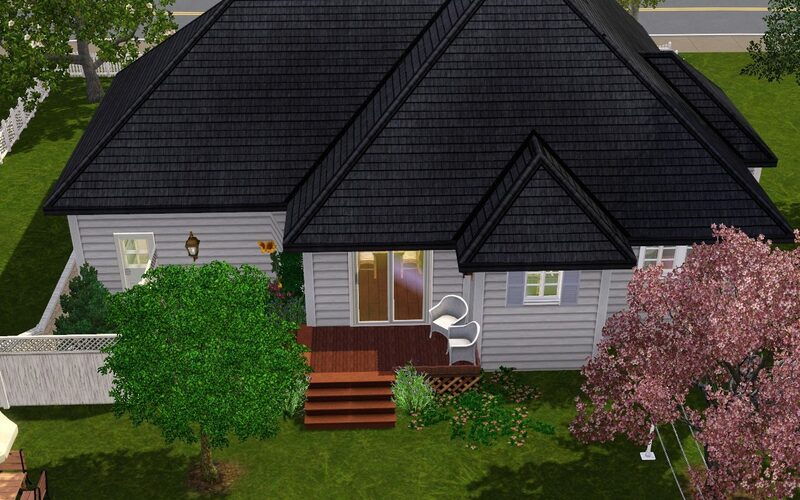 It's fully furnished, includes all alarms and plenty of d�cor. 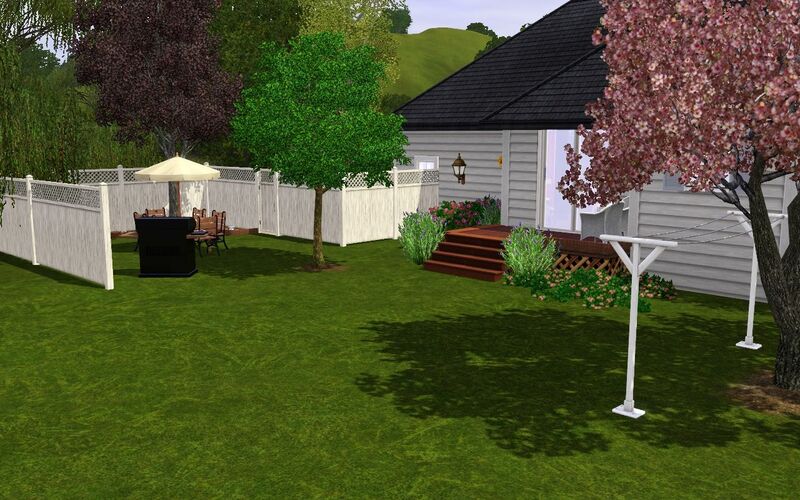 The backyard has a barbecue and clothesline, as well as a table and chairs. 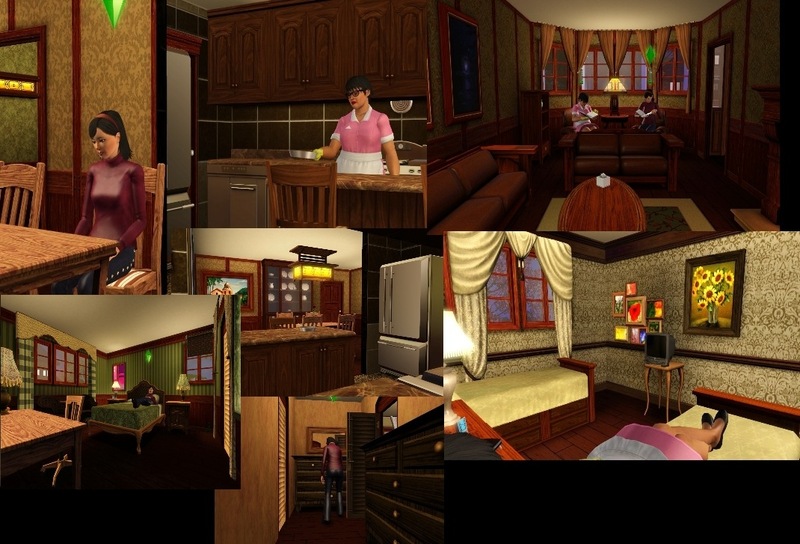 I tried to keep CC down to a minimum, and the Store items are only Mission-style lights, so aren't crucial.